While you might know that it’s better not to snack on your plant friends (with a few exceptions) the smaller members of your family aren’t always so wise. 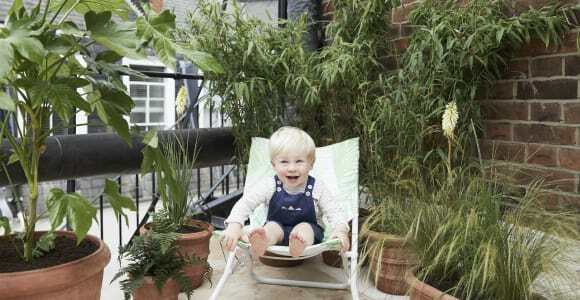 We’re often asked about choosing pet- and child-safe house plants, so we’ve gathered a few of our favourite options here. These guys won’t do any harm to your little ones if they happen to have a nibble, and they look good to boot. 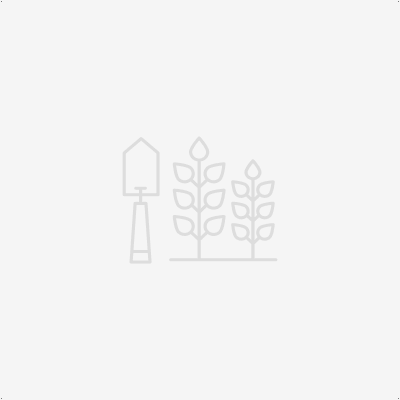 To check you plant’s toxicity levels, take a look at its product page — we always give details in the description. Remember, you don’t have to bin toxic plants if you find out too late. If it happens, just keep them out of the way, such as on tall shelves or in hanging planters. Big Ken the kentia palm is non-toxic, so no need to worry about keeping him around curious little ones. His arching fronds work wonders to transform any corner, casting beautiful shadows across plain walls. 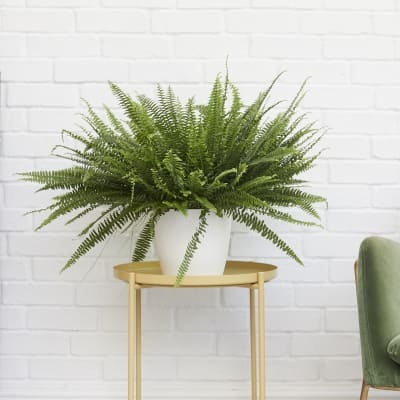 Native to the South American tropics, Bertie the Boston fern loves a bit of humidity, so try keeping her in the bathroom or kitchen. She’s no threat to pets or kids — in fact, cats might like to play with her impressive leaves. 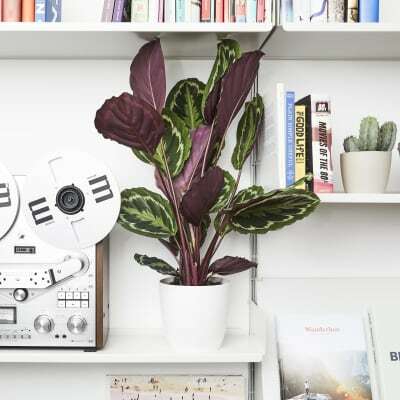 If you want to add a pop of colour in your room, Juliette the Calathea (or ‘prayer plant’) is the one. Much like your pets, she curls up to go to sleep at night, before unfurling her leaves again in the morning to catch the light. And no need to worry: she won’t cause any harm to your smaller tenants. 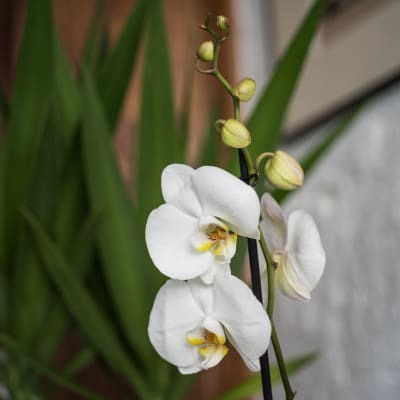 If you fancy something with a delicate, elegant look then white orchid Lara’s your girl. Pop her in a humid spot and she’ll reward you with year-round blooms. She’s non-toxic, but we’d recommend keeping her out of reach of particularly boisterous pets to prevent any damage. 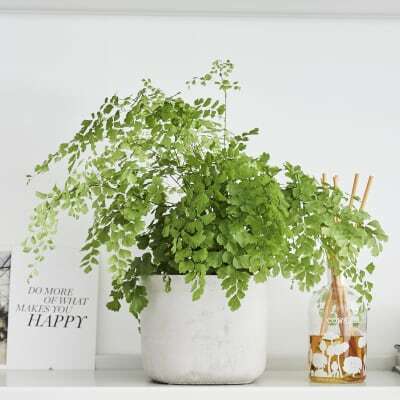 In the wild, Venus the maidenhair fern can be found in rock crevices, on river banks and by hot springs, but she’s also happy growing in a shady London flat. She’s non-toxic and cats even like to nibble on her small leaves. 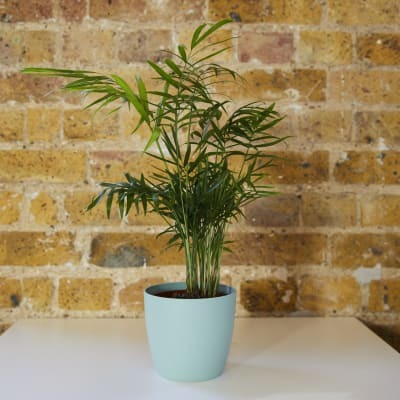 Sharon, our Chamaedorea (also called the ‘parlour palm’), is the ultimate house plant — her easy-going nature and elegant look have made her a mainstay in British homes since the Victorian era. She’s also totally harmless if eaten, so no need to stress about keeping her around pets or babies. 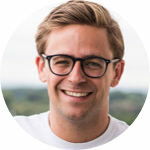 Succulents are a great choice for the clueless gardener: these forgiving plants basically take care of themselves. You’ll find a broad variety of colours, shapes and textures in our collection — none of them toxic to pets or humans. Penny gets the nickname 'Chinese Money Plant' from her glossy coin shaped leaves. 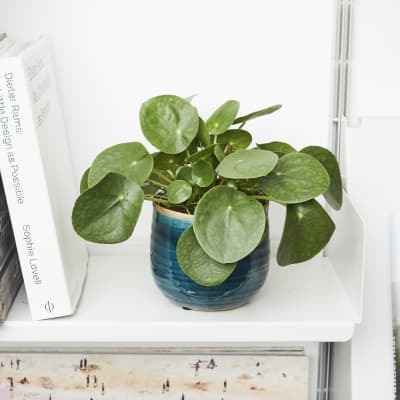 She's a low maintenance and non-toxic little houseplant perfect for a shelf or desk. Some say if you place a coin in her soil she will bring you wealth and good fortune! Contains one 6ft Howea Forsteriana, one Calathea, one large Boston Fern, one large white Orchid, one Maidenhair fern, one small Chamaedorea and one medium 10-15cm succulent. 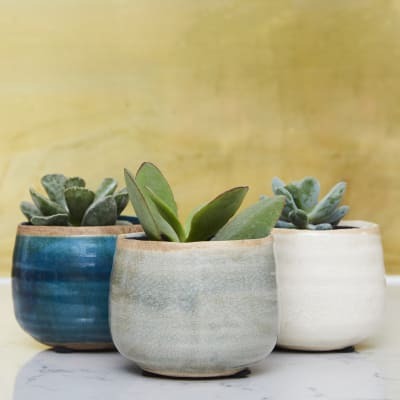 Pots for all plants are also included. Create a jungle for your jungle cat.